Saints at Redskins 11/15/15. Photo Credit: Keith Allison. The (10-2) New Orleans Saints can clinch their 2nd consecutive NFC South Division Championship this Sunday afternoon when they travel to Raymond James Stadium in Tampa, FL. There they’ll face their long-time divisional rivals, the (5-7) Tampa Bay Buccaneers. Kickoff is at 12:00 P.M. Central time and will be broadcast regionally by FOX Sports. The Buccaneers are currently in 3rd place within the NFC South Division, and although they’ve struggled notably at different times this year, they’ve recently won their last two games, including their 24-17 win over the Carolina Panthers last Sunday. But perhaps even more importantly with regard to this Sunday’s contest: Tampa Bay already has beaten the Saints once this year. That win for Tampa over the Black and Gold came a couple of months ago back in Week #1, by a score of 48-40; as the Tampa Bay offense led by backup Buccaneers QB Ryan Fitzpatrick, torched the Saints’ defense for over 500 yards worth of total offense and pulled off the upset over the heavily-favored Saints at the Mercedes-Benz Superdome. The two teams have undergone some dramatic changes since that day, most notably for New Orleans, who after that season-opening loss to Tampa was able to rebound and ended up winning 10 consecutive games in a row. Now the Saints will be seeking another rebound as they try to bounce back following last week’s 13-10 upset loss (only their 2nd defeat all season) to the Dallas Cowboys. They’re also attempting to strengthen their current hold on one of the top playoff seeds within the NFC for the upcoming NFL playoffs next month. 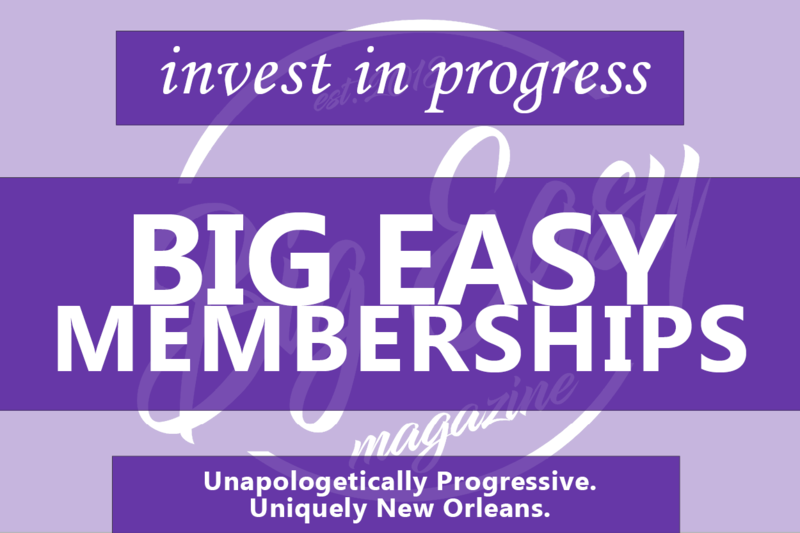 And so it’s with all of that in mind this morning, that Big Easy Magazine presents our 5 Bold Predictions for this Sunday afternoon’s contest as the New Orleans Saints attempt to win their 11th game of the 2018 NFL Season, on the road at Tampa against their NFC South Division rivals, the Tampa Bay Buccaneers. 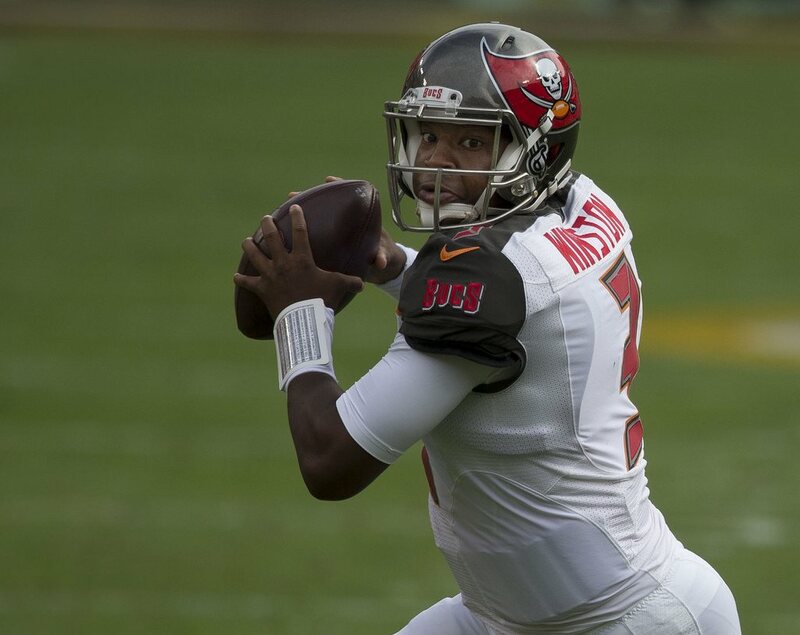 As most fans reading this likely already know: 4th year Bucs veteran QB Jameis Winston missed the first meeting between the two teams back in Week #1, as he was serving the first game of a three-game suspension to begin the 2018 NFL Season for violating the League’s conduct policy earlier this past year. Since taking over the reins of the team back from backup QB Ryan Fitzpatrick, Winston has completed 157 of 232 passes for 1,941 yards and 12 touchdowns, along with 11 interceptions. But perhaps more importantly from Tampa Bay’s perspective: Winston is completing 67.7% of his passes this season, and that completion percentage is a career-best for the often-criticized young superstar. Winston unquestionably has demonstrated some rather marked improvement since his well-publicized struggles of last year, and the most impressive aspect of his improvement is that he’s been actually protecting the football. Winston hasn’t turned the ball over at all in the past two weeks, and not surprisingly both games ended with victories wins for the Bucs (including last week’s 24-17 win over Carolina). However, Winston won’t fare nearly as well in this Sunday’s contest; as the ever-improving Saints defense gives the former Florida State University star trouble all day long. They limit him to 17 out of 34 for 211 passing yards and two TDs, but with two critical interceptions; and sack him a total of five different times on the afternoon. Unless you’ve been living underneath a rock for the past week, then you’re likely already well-aware that Saints 18th year veteran and League MVP candidate Drew Brees had what was one of the worst performances of his NFL career last week against the Cowboys. The brilliant defensive game plan by Dallas defensive coordinator Rod Marinelli worked to near-perfection in the Saints’ 13-10 loss at AT&T Stadium in Arlington, Texas. Brees, who currently is enjoying one of the best years ever for a QB in the NFL’s entire 99-year history, completed just 18 of 28 passes for 127 yards, one touchdown and a very uncharacteristic (for him anyway) game-ending interception with 2:08 seconds left, which he threw with New Orleans still trailing Dallas by three points. Brees and the Saints offense — who had entered that game last Thursday night against the Cowboys averaging an NFL-best 37.2 points per game — were also held to only 176 total yards worth of total offense, an obvious season-low and one of the worst overall for the offense in recent memory. 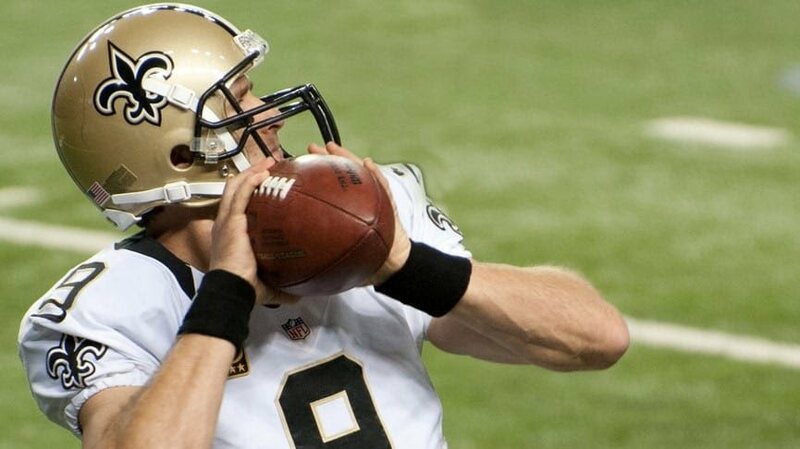 Fortunately for Brees however, he’ll have no such problems this coming Sunday; as the future Hall of Famer rebounds (there’s that “bouncing back” theme once again) well from the debacle at Dallas to complete 32 passes out of 38 attempts for 422 yards and two TDs and no interceptions; along with a completion percentage of 84.2 % and a remarkable (and near-perfect) QB rating of 153.8. 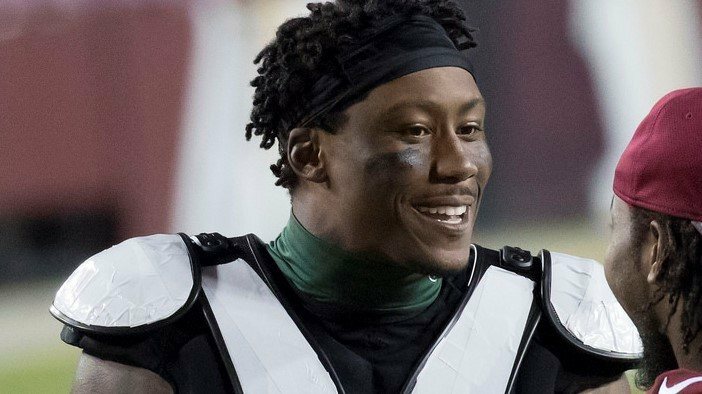 Since signing with the team as a veteran free agent back on November 12th, Saints 13th year NFL veteran and 34-year old WR Brandon Marshall has yet to be involved in any aspect of the Saints offensive attack on game days. In his entire 13-year career (a total of 178 games played with 6 different NFL teams), Marshall has recorded 970 receptions, 12.351 yards, and 83 touchdowns. But the former University of Central Florida star and six-time former Pro Bowl selection still has some proverbial gas left in the tank. It’s expected that at some point the team will incorporate his valuable long-time NFL experience into some of the aspects of the offense as the Saints enter into the final stretch of the regular season and the upcoming NFL playoffs — which ironically (and incredibly if you think about it) Marshall has never played in before. Regardless, the likely future Hall of Fame WR will finally get the chance to make his first appearance this Sunday at Tampa Bay, and the wily and well-respected pass-catcher won’t disappoint as he makes his Saints debit wearing the Black and Gold, a memorable one. Marshall will catch three passes for a grand total of 17 yards, which obviously doesn’t sound all that impressive. However, the long-time veteran will IMMEDIATELY show his true value (and the reason why the Saints signed him in the first place) with a sensational one-handed grab at the Tampa Bay five-yard line, before bowling over Buccaneers free safety Andrew Adams and reaching across the goal-line for a thrilling TD in the red-zone. 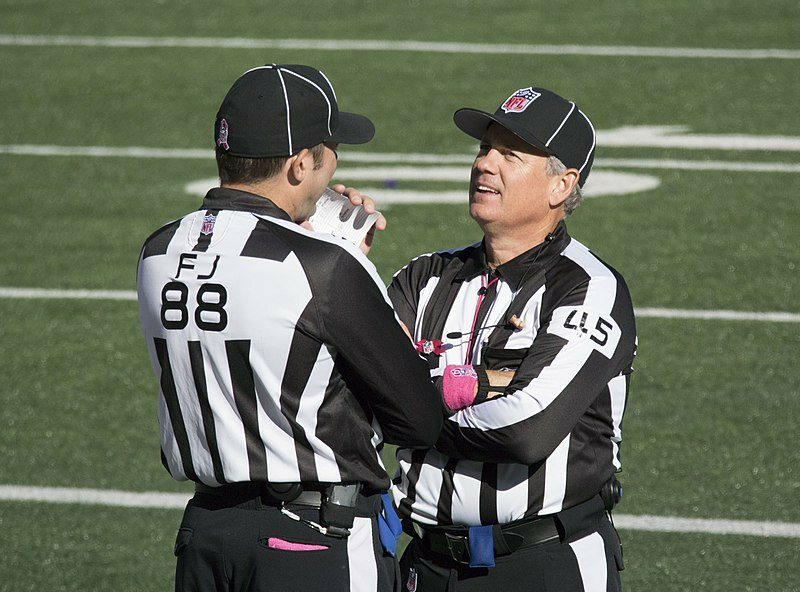 A huge portion of NFL fans have been justifiably upset over the officiating by NFL referees this year, in what might just be the most-scrutinized season ever for the League’s game day on-field officials. The Saints themselves were the victims of two blatantly missed calls in their 13-10 loss to the Cowboys; both of which it can be argued ended up having a direct impact on the game’s final outcome, which Dallas hung on to win at the end. One call was a blatant helmet-to-helmet hit by Cowboys linebacker Jaylon Smith against RB Alvin Kamara, and the other a reception by Dallas WR Cole Beasley that should have been ruled well short of a 1st Down. Saints fans reasonably were up in arms over the job done by the officials in that contest, and to say that the reputation of NFL referees (as a collective group of individuals) has taken a big-time negative hit this season, would be stating it pretty mildly. You can even feel free to insert your very own joke about their lack of visual capacity right here if you’d like. Saints QB Drew Brees on a critical 3rd Down-and-7 play at the Tampa Bay 48, fires a pass over the middle of the field to tight end Josh Hill, who gets the first down but while trying to break the tackle of Bucs linebacker Lavonte David, is stripped of the football. Tampa strong safety Jordan Whitehead scoops up the loose ball and returns it 72 yards for the defensive touchdown, and gives the Bucs an apparent 24-20 lead with less than six minutes remaining. But the replay shows that Hill’s knee may have been down prior to the ball coming out from within his grasp. After taking what seems like several minutes, Hill is ruled down and the Saints not only retain possession, but keep the all-crucial momentum on their side as well. 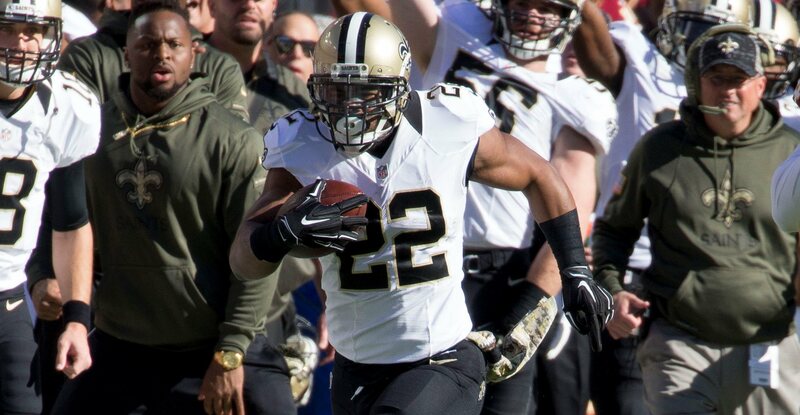 On the very next play from the Tampa Bay 32 yard line, Saints RB Mark Ingram breaks a run to the outside and races untouched down the right sideline in front of an exuberant Saints bench (on the visiting team’s side of the stadium), as the players and coaching staff wildly celebrates the quick 14-point turnaround that has now given the Saints a 27-17 lead with under 5:15 left on the game clock. The Bucs get the ball back and Winston attempts to lead them to a comeback, but after successfully converting two earlier 3rd-down plays on the drive, a false start penalty and then a holding penalty put Winston and company back on their own side midfield at the Tampa 46. Faced with a 3rd Down-and-22 play, the Bucs QB attempts to complete an “out route” to WR Chris Godwin; but the ball is picked off by CB Eli Apple, who returns the ball to the Tampa 26-yard line and gains a bit of sweet redemption after having struggled a bit the week before in the loss to Dallas. The Saints then essentially eat up the clock and cap off the short drive from the Bucs turnover with a 38-yard Wil Lutz field goal. The Bucs once again get the ball back and another shot to score, but Winston is unable to find any success against a Saints defense that is much different than the one from Week #1. Time on the game clock eventually runs out just as Winston is sacked for the 5th time, and he angrily throws the ball into the turf while Saints defensive tackle Sheldon Rankins does the “shimmy” celebration nearby — as the entire Saints organization and fan-base savor the moment of New Orleans winning its 2nd straight NFC South Division Championship and win #11 on the season….